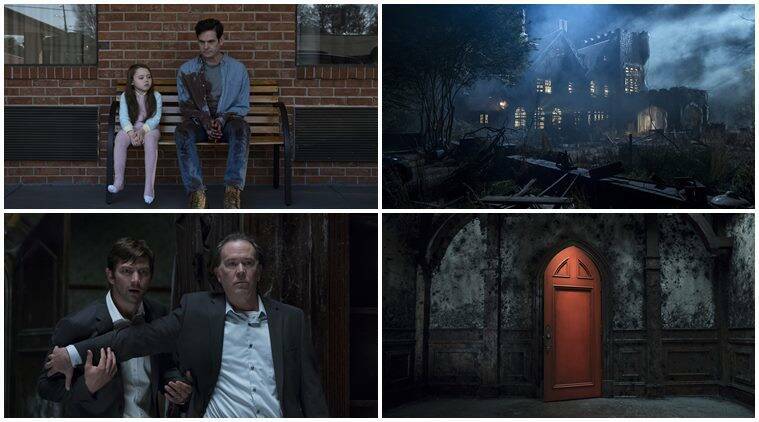 The Haunting of Hill House – The Review. I am home, I am home, she thought; now to climb. Recently I have been watching “The Haunting of Hill House”, or commonly known as, the Haunted House on the Hill, The Hill Haunting House, or that show that makes you poo your pants! For some reason everyone I have spoken to struggle to put the name together properly . . . maybe it’s the show that has scarred them too much. Firstly I want to begin by saying this review will be a SPOILER FREE review. One because I don’t like being THAT guy and Two, because the show needs to be watched rather that told. I won’t be able to do it justice if I try to explain the ending, the twists and the resolution. I went into the show, hearing so many people rave about it, sing its praises but also claim the nervous wrecks they became from it. Now horror films aren’t really my thing, I don’t think they are made these days with fear and horror in mind, but more to show special effect and a bucket full of fake blood. But I pushed on and jumped into this and wow I am so glad I did – I loved it! It is so much more than a horror show. The premise of the show is about a family being haunted by mysterious supernatural forces within a house. The narrative jumps across about 30 years, from the family as kids moving into the house, to present day where they have all grown up in different ways after the ordeal of the house. The main story revolves around 5 siblings who have all taken different paths in life after several traumatic experiences from their childhood. Showing different coping mechanisms from Drug Abuse, to Denial, to Over Compensation. I’ve read and agree with that each sibling in the show is a symbolic version of a step of Kubler-Ross “Five Stages of Grief” process. Which thinking back to how all the characters act and process their surroundings it becomes very obvious that theory could be spot on. 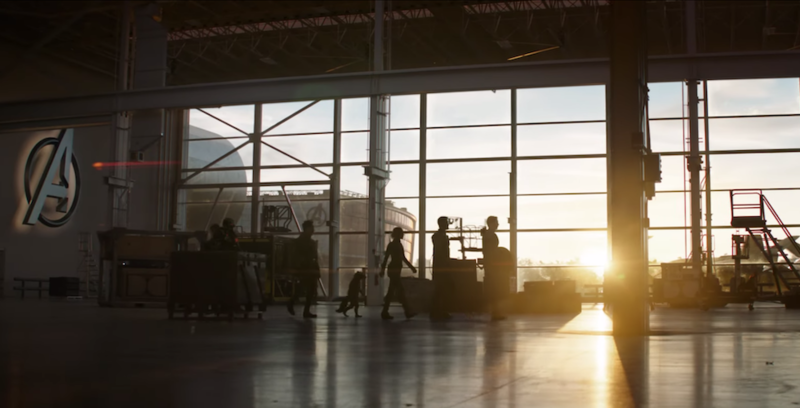 Another aspect of this show that I loved is the cinematography and the style of shots. Most memorably Episode Six which included an 17 minute long shot. Which is beautiful. Giving the desired impression that the single shot is happening in real-time. While choreographing swift and solid movement with the cast and set to not interrupt the shot. You will know the scene when you see it and afterwards just think “Wow” – I did. Overall the show, the feel of it and the story is superb, gripping and captivating. Even with the scares involved. The true horror I think comes more from the depiction of Human Nature and how it reacts to unreasonable events, or events you logically can not make sense of. Please go and watch it. I can not stress enough how much I enjoyed this show and how I want everyone to witness it. True horror making at it’s best. Side note – after I had finished it, which I had started while moving into a new house (I know right), I had a small dose of paranoia set it, I found myself standing in the empty spare bedroom in the dark one morning getting ready for work, thinking about the end of the show and what it all meant. But the more I thought about it, the more my mind began to play tricks on me with sounds and imaginations of what could be behind me. Silly I know but I put this down to how good the show was, the idea and story stuck with me and played on my mind so much that I felt it could be real. One final tidbit that I learnt when I was on about episode nine was from an article I read about the show and the missing ghosts. Take a read over HERE – I can’t promise it is spoiler free, but I can promise shock, this article goes into explaining how the show has ghosts all through it but you just don’t notice them because you don’t know where to look. The sheer amount of detail the show runners put into this is amazing. They knocked it out of the park and I for one love that. Anyway enough of my ramblings, it’s Friday night. Pop Netflix on and start this show. You will not be disappointed. Have a great weekend boys and girls . . . . if you survive that long.